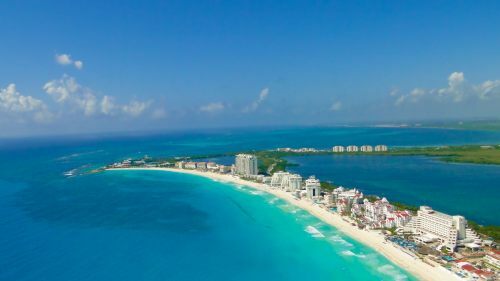 WestJet has dropped the price of their April flights from Regina to Cancun, Mexico down to $365 CAD roundtrip including taxes. Dates around Easter weekend are available. Yes, it is possible to visit Cancun without staying at an all inclusive resort. On Airbnb, apartments on the beach in Cancun or on Isla Mujeres ($10 ferry from Cancun) can easily be found for $60 to $100 CAD per night. You can also find great deals a bit further south in Puerto Morelos. Mar 26 to Apr 2, 7, 9, 14, 16 -- new! Mar 31 to Apr 2, 7, 9, 14, 16 -- new! Apr 2 to Apr 7, 9, 14, 16, 21 -- new! Apr 7 to Apr 14, 16, 21 -- new! Apr 9 to Apr 14, 16, 21 -- new!